Now through October 31, 2018. How about a mega maze in bonnie Scotland? Visit the Cairnie Fruit Farm and Mega Maze in the scenic Fife countryside, a little over an hour’s drive north of Edinburgh. A labyrinth of pathways and blind alleys extend over 6 acres with the maize growing to a height of 9 feet. Previous year’s designs include Darth Vader and the BFG, with this year’s theme being the plucky hedgehog. 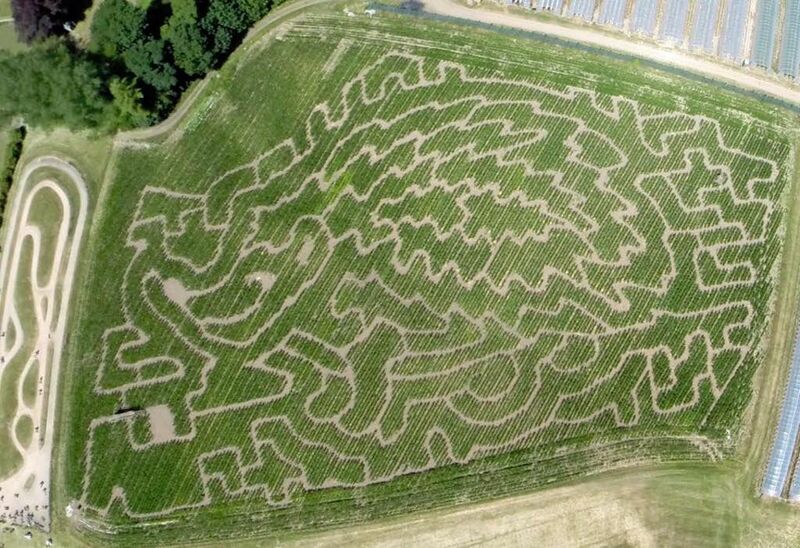 Once you’ve tackled the maze, check out the farm and pick your own fruit, pumpkins, and sunflowers or stop in the cafe for their signature strawberry MEGA tarts. The Cairnie Fruit Farm and Mega Maze is an entertaining (and delicious!) fall outdoor experience!